1. Will I be able to learn this new technique online if I only have basic experience? Each class will guide you step-by-step on each technique in a very accessible fashion. 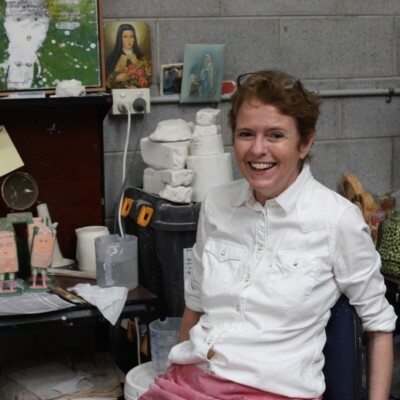 It is recommended that you have some experience in working with clay, including a basic understanding of fundamental techniques. 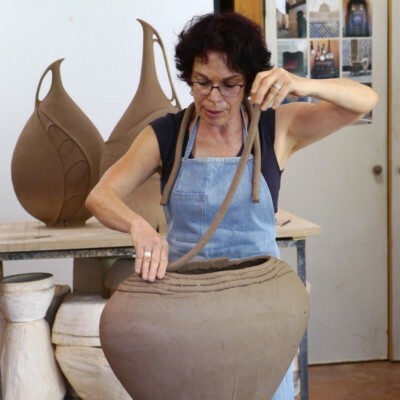 No information about basic ceramic techniques will be provided, but if you are willing to research fundamentals on your own then you will find the online courses motivating and insightful. 2. How is each masterclass structured? Each masterclass (online course) consists of three lessons. Each lesson is a 15–50 minute instructive video, with a project that covers the techniques involved. Along with the lesson videos, students can download PDF sheets – Materials List, Project Sheet and sometimes other information such as glaze recipes. If you take part in the webinar (interactive session) you can also receive valuable feedback from your masterclass instructor. 3. What is a webinar? A webinar is a live video broadcast incorporated directly into your course as a live event. Your tutor will live-stream video via the event page, to anyone logged in to your course. The students logged in can ask questions via a chat line. 4. Can I watch the lessons according to my own schedule? Initially, we release one masterclass per month, for four months. Each lesson will be released on a Monday for the week ahead, ie one per week for three consecutive Mondays. You can access each lesson after it is released, whenever you like, as often as you like. The webinar is scheduled for a 90-minute session at some time in the 4th week of the masterclass. Look for the webinar date when you enrol. 5. What can I expect to get from this masterclass? 6. Will I be able to be contact my other virtual classmates? The masterclasses are conducted using an online platform called Ruzuku. As a student you will establish a profile when you register. You will then be able to see and contact others who have registered for your masterclass. 7. What happens if I don’t get the opportunity to ask a question or I think of a question after the webinar session? We encourage individuals enrolled in the masterclass to write down any questions you have on the (downloadable) project sheet, so that you are prepared for the webinar session. The instructors are only strictly in attendance for the 90-minute webinar session. Outside of the webinar session, you can ask questions of your fellow students within the Ruzuku platform. All discussion threads, including pictures posted and responses, are viewable by any student and your tutor. Your tutor may also read and contribute to these discussion threads. 8. Will I get direct feedback if I am experiencing difficulty with one of my projects? Students can submit questions during the webinar session and instructors will review these questions. You can also ask questions at any time of your tutor and/or your fellow students. 9. What happens if I do not get my project finished in time for the webinar session? It is up to individual members to manage time to have the project complete. However, if individual circumstances prevent this from occurring, a review of your work in progress is still possible, and you can still participate in the webinar. 10. How long will I get to complete a project? In the scheduled release of the masterclasses, each of the three lessons is released on a Monday. In the fourth week, the webinar will take place. It is best if the three projects are completed by the time of the webinar. Students can also move through the lessons at their own pace. You will have access to the lesson videos for six months after the masterclass ends. There are no refunds once you sign up, so please be sure you can take the masterclass BEFORE you sign up. 12. If I get sick and am unable to continue with the classes, can I get a refund? 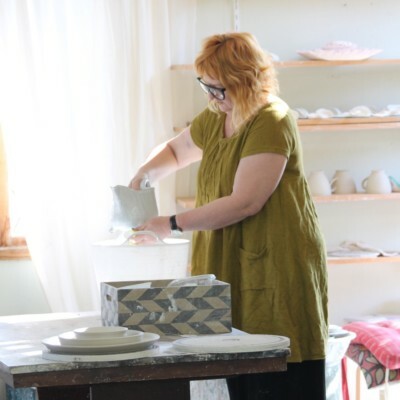 Exceptional circumstances can be submitted to The Australian Ceramics Association for review on an individual basis. 13. Can I download the videos? No, the videos are not downloadable. You will have access to the course, videos and a recording of the webinar for six months after the masterclass ends. 14. How long does the masterclass stay open after the webinar? Students can access the course content for six months after the masterclass ends. You will be able to go back and review older lessons and activities, even if the course has officially ended. 15. 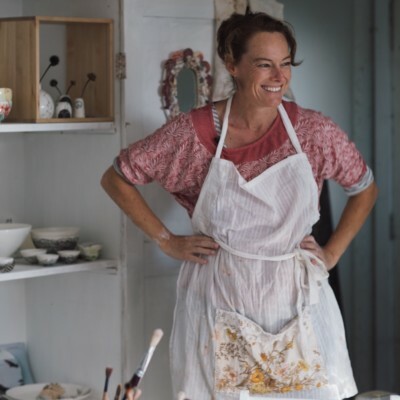 Do I need to have access to a fully equipped ceramic studio to take this class? It is recommended that you have access to a studio to work in while learning in order to get the most out of the e-course. 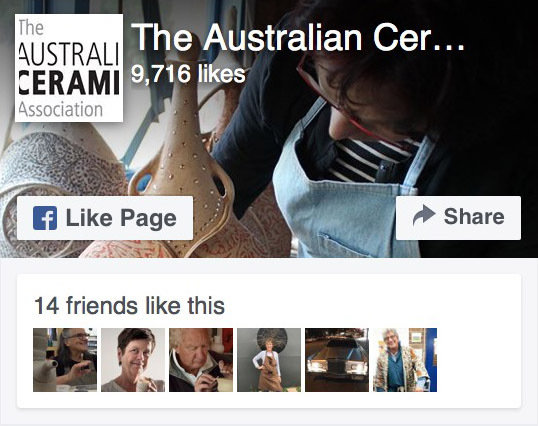 If you are unsure of the facilities available in your area, join the Australian Ceramics Forum on Facebook, as it is a good resource with members located nationwide. 16. What happens if I do not wish to ask a question in a group situation? You can choose not to participate in the webinar (live interactive session). You also have the option to create an anonymous profile in the Ruzuku platform where the masterclass is conducted. We encourage everyone to actively participate, as group feedback is a great way to learn and often someone will be experiencing similar difficulties. The webinar will be moderated by a TACA member to ensure respectful behaviour is followed. 17. Why can’t I just take the masterclass at anytime and/or without the webinar? The benefit of the Masterclasses following a scheduled timetable (which includes the webinar) is to enable participants to connect with each other during the month of the online class. We are planning to make the Masterclasses which have run on a schedule twice, available at any time without the webinar option. They will most likely be available for the first time in 2020. 18. I have some questions about the course. Who can I contact? If you are enrolled in a course and need help navigating Ruzuku, or using its features, just click the Support link at the top of the Ruzuku page and browse through the categories and articles. If you can’t find the answer there, email Ruzuku Support directly at support@ruzuku.com. If you cannot find the answer to your question in Ruzuku, please contact The Australian Ceramics Association via email, mail@australianceramics.com; SUBJECT: I have a RUZUKU question. 19. How long are the video lessons? Each masterclass is comprised of three lessons that run for 15–50 minutes and each lesson offers a project designed to develop skills on the techniques covered in that lesson. 20. Can I give a masterclass as a gift? 21. Do I need to live in Australia to enrol in your masterclass? No, anyone can take the class. 22. If I cannot be available for the live webinar component, can I watch the webinar later? Yes, a recording of the webinar will be available to view after the event.